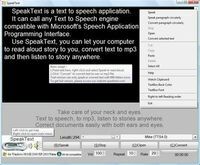 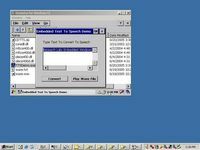 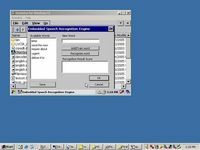 All purpose text-to-speech software that lets your computer talk? 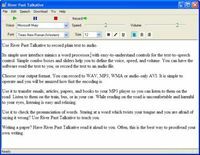 Create, share, read, listen to, and print for binding books from text files. 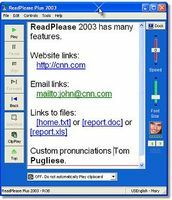 Direct text to speech, text to mp3. 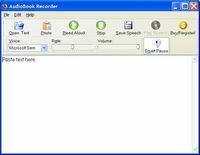 Batch convert text files to MP3 files. 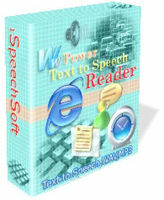 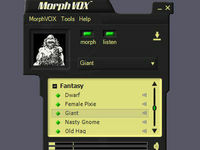 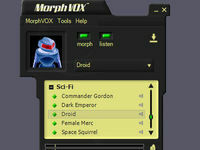 Listen any text file and convert text to WAV, MP3 and VOX format. 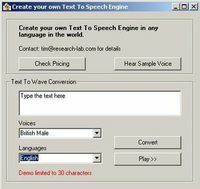 Voice & Speech Recognition. 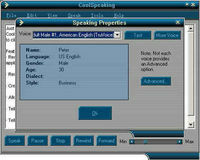 Command system, open docs for dictate & reading.